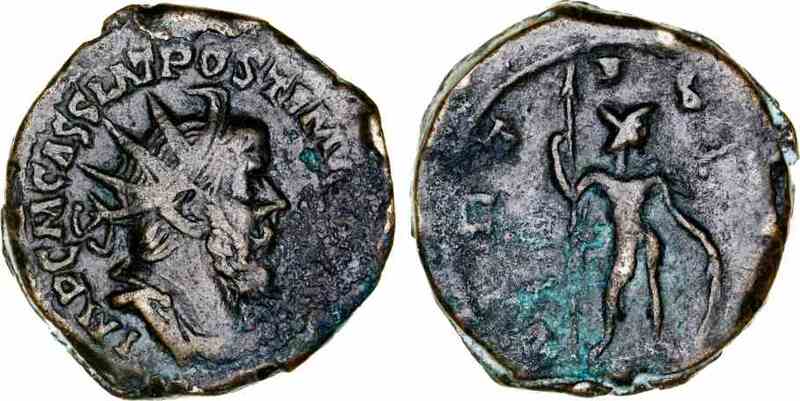 Bronze double sestertius, 25mm, 10.12gm, issued AD 261. Cologne mint. Rev: VIRTVS AVG, Mars or Virtus resting on spear and shield. References: Sear 11070, RIC 179.